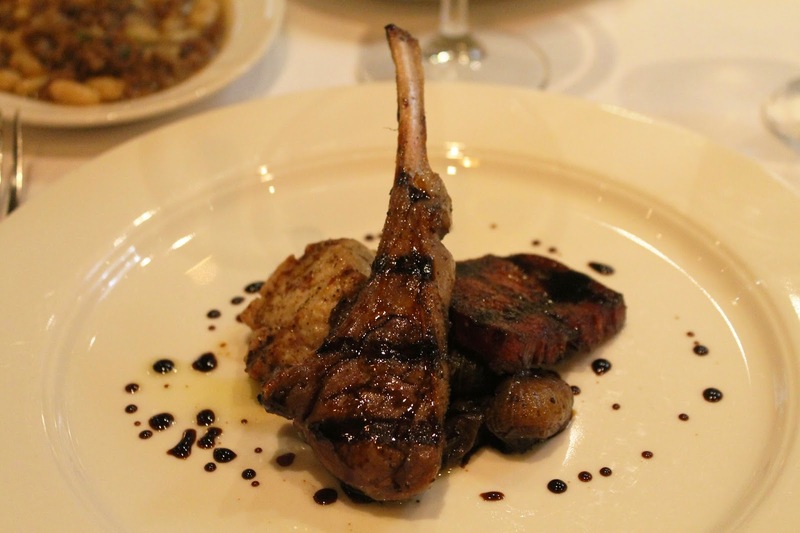 To celebrate my boyfriend's birthday, we went to Babbo this past weekend. I didn't manage to get a dinner reservation, but coming here for lunch ended up working in our favor-- we had the rest of the day to walk off all the food! 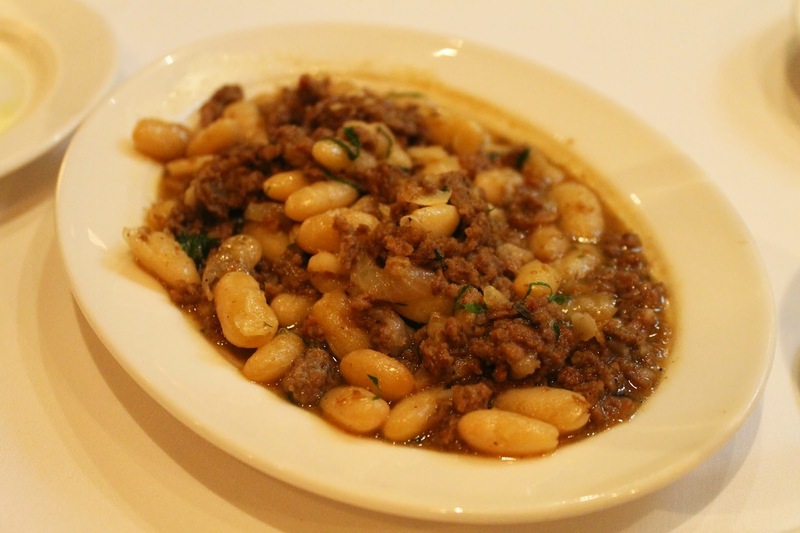 Babbo is somewhat of an institution here in New York. 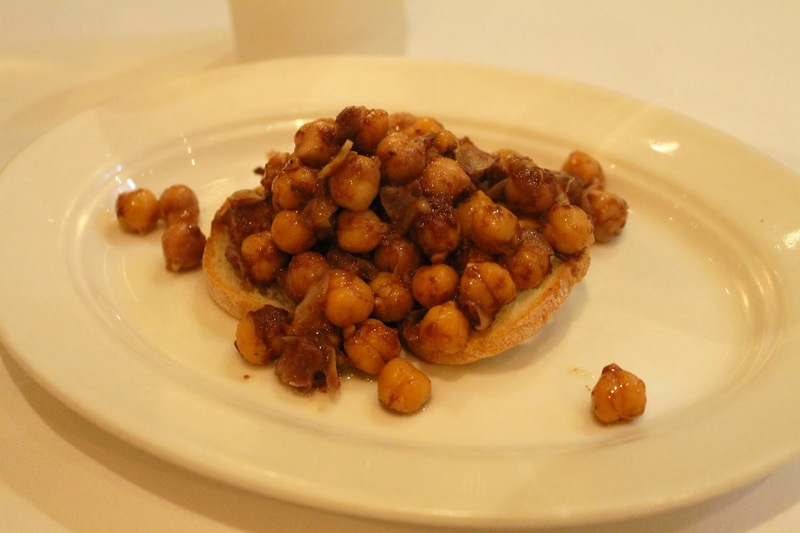 This Italian restaurant was opened in 1998 by Mario Batali and Joseph Bastianich. The duo have since opened many more eateries together, such as Del Posto, Casa Mono, and Eataly. For the bf's birthday, I thought it would be nice to dine somewhere with delicious food and a relaxed atmosphere. 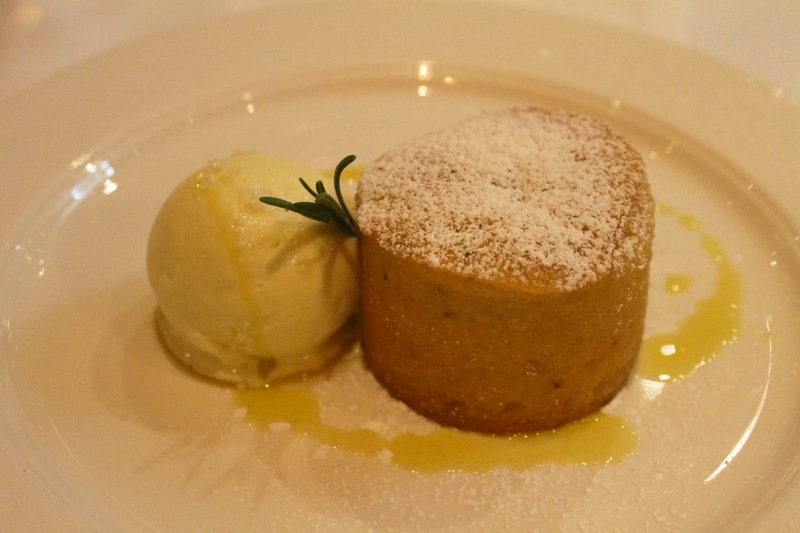 Babbo turned out to be a most satisfying experience. For lunch that Saturday, only the main level dining room was open (there's a second floor too). Most of the tables were set up to accommodate two people sitting together on the banquette against the wall (instead of across from each other). We both originally planned to order the pasta tasting (4 courses for $49 per person at lunch, 7 courses for $85 per person at dinner), but when we found out that the items we really wanted were not included, we decided to go with a la carte. 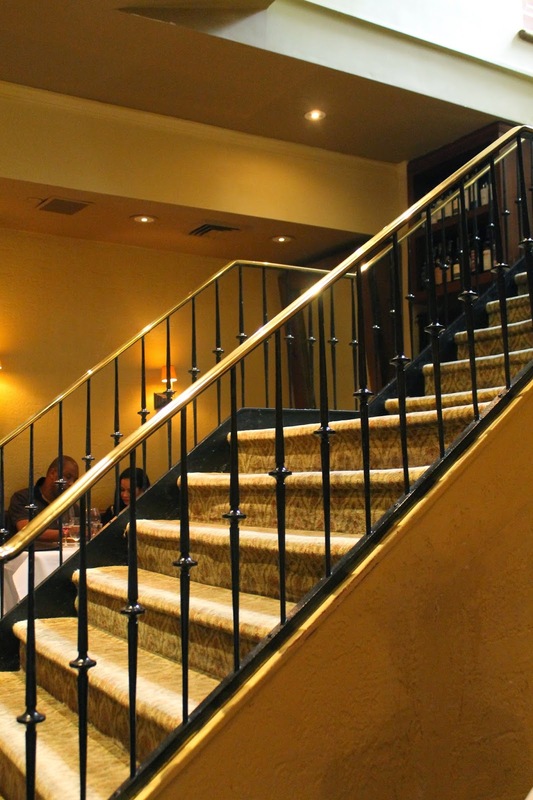 Staircase leading to the second floor of the restaurant. The skylight from upstairs brought some nice sunlight into the main floor dining area. A very simple but tasty start to the meal. I liked that the vinegar was slightly sweet. This item falls in the secondi (second course/main dish) portion of the menu, but I don't think that anyone could actually eat this and be full. Nonetheless, it is an incredible way to start the meal (we split this), and I couldn't get over how tender and moist the octopus was. 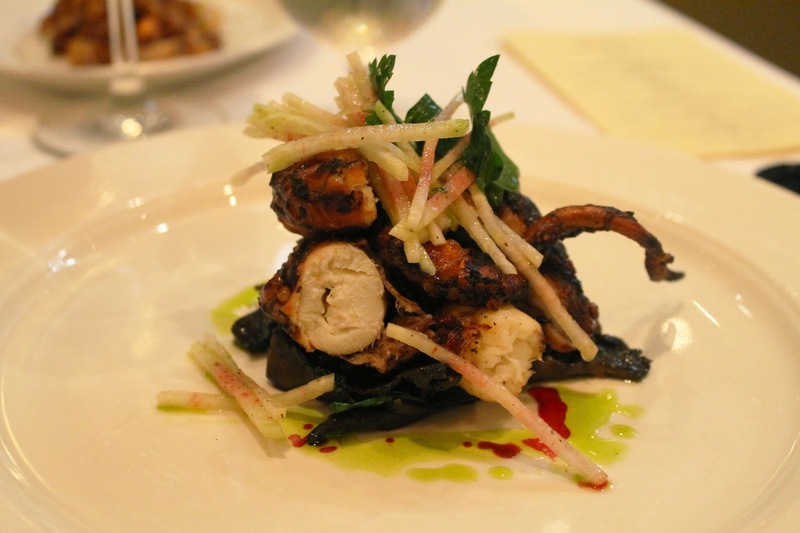 Our server explained that to keep the softness, the octopus is first poached and then grilled for a short time. I never opt for lamb, but when my bf orders it, I always try a bite. This was tender but too gamey for my liking. The sweetbread though, was delicious. I didn't even know what sweetbread is, and upon asking, found out that it's glands. It has a heavy liver-like taste. The beef tongue was also excellent. Perfectly seasoned and probably the shining star of this dish. This was unbelievable. 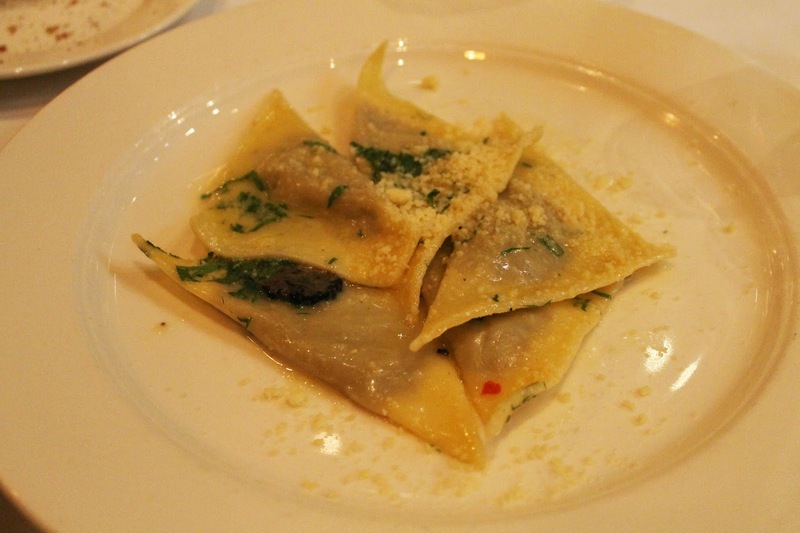 Strong flavors, fresh al dente pasta texture, thin pieces of black truffle (not just truffle oil! ), and a nice sprinkling of cheese. The lack of sauce wasn't an issue at all. 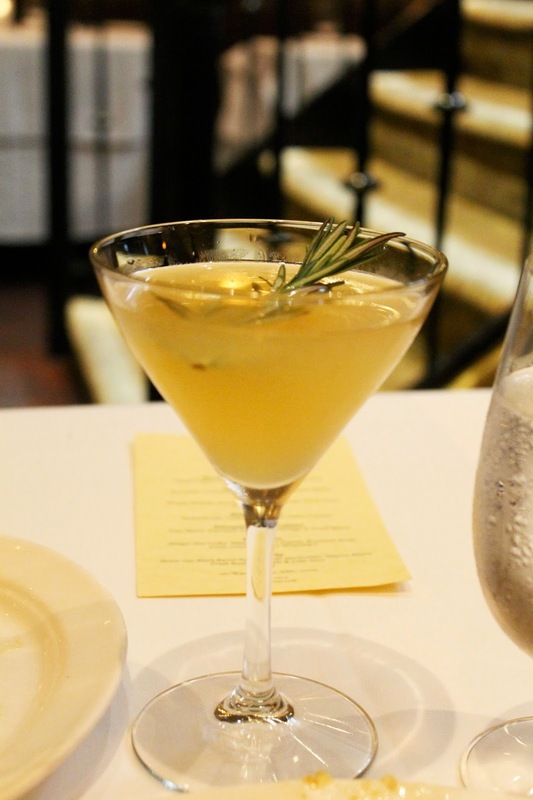 Do not come to Babbo without ordering this. We originally shared a quartino of wine, but I then switched to a cocktail, because after seeing this cocktail menu, I felt like this rosmarino cocktail was just calling my name. It was amazing-- strong and tasty without being overly sweet. A heavier and rather large side dish. Meaty and filling. The bf loved this. *Reservations highly recommended, and are accepted up to one month in advance.